This spring at The Center, the circus was in town and you won't believe your eyes at the amazing transformation of one client's very special family heirlooms. 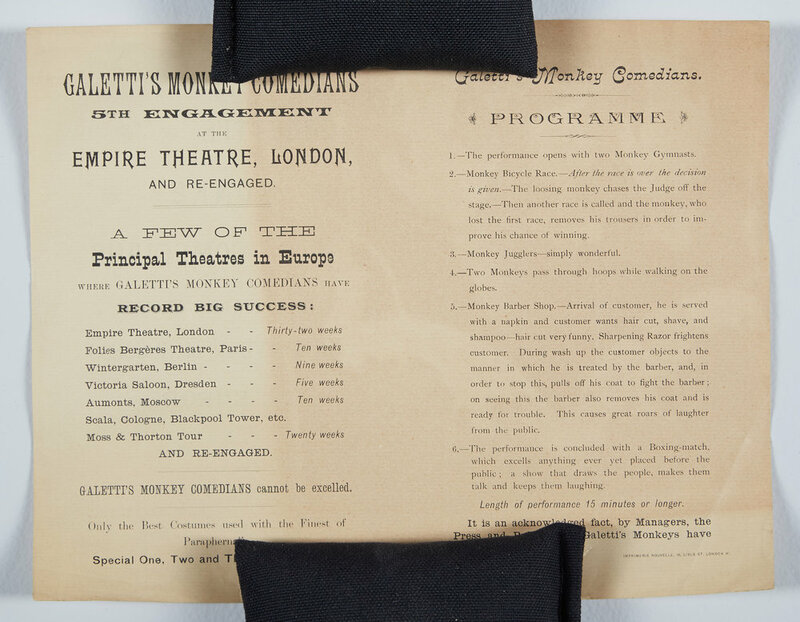 The client's maternal grandfather, along with his father and grandfather, were part of the Galetti’s Circus, a circus that toured Europe and America in the late 19th century. 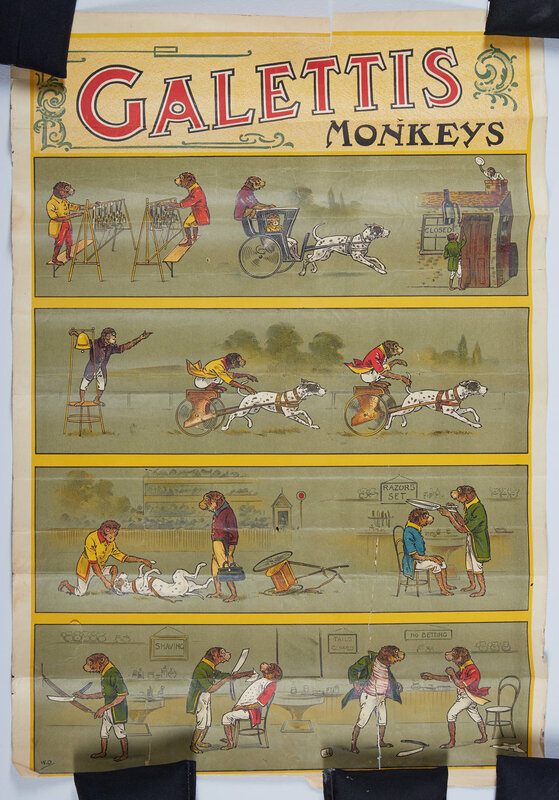 The client's relatives were responsible for feeding and caring for the famous performing monkeys as the circus traveled. When our client first discovered her mother's posters under a bed, they were covered in dust and exhibited condition issues from being rolled tightly for years. Distraught that a piece of her family history was in such poor condition, the client sought out help from The Art Institute of Chicago and they directed her our way. After the formal examination, our Paper Conservators found the items suffering from age-related damages. Creases and tears were present on many of the pieces and layers of surface soil, distortion, and discoloration were present throughout the collection. 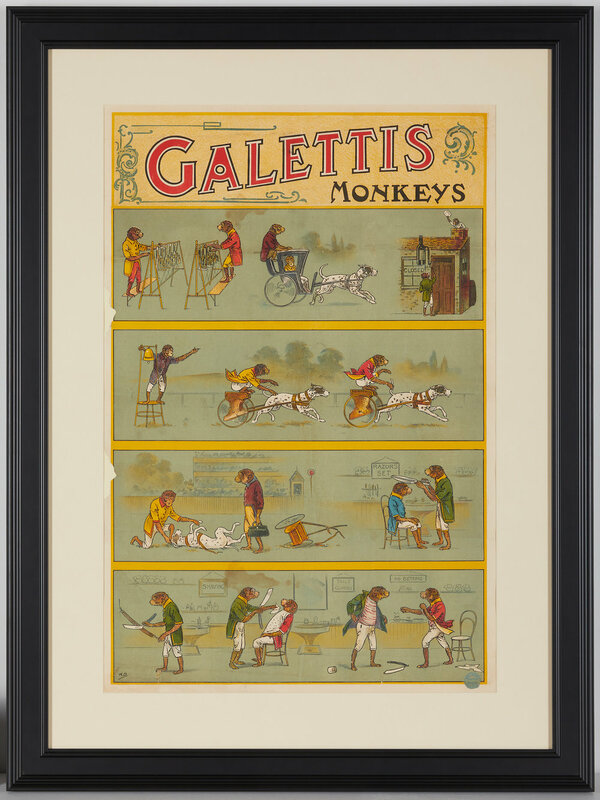 The Paper Conservation Department treated two posters featuring Galetti’s monkeys. The pieces were first surfaced cleaned and then humidified and flattened to reduce distortion. Then, the pieces were dried between cotton blotters and lined to a secondary structure for additional support. They were placed in new frames by our Custom Framing Department. 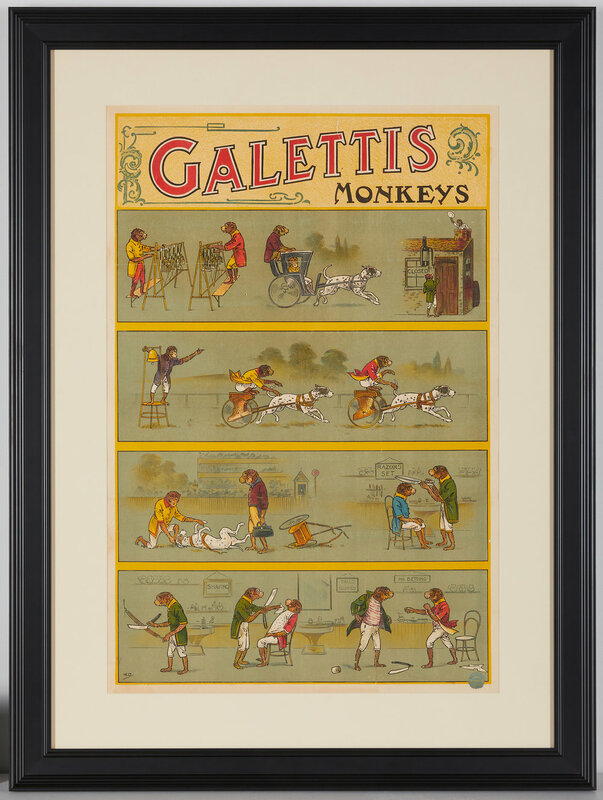 Framer Kelly Reynolds states, "We used Museum Glass for the restored posters, which in addition to protecting the pieces, allows for a glare-free view of the meticulous illustrations of Galetti's Monkeys. 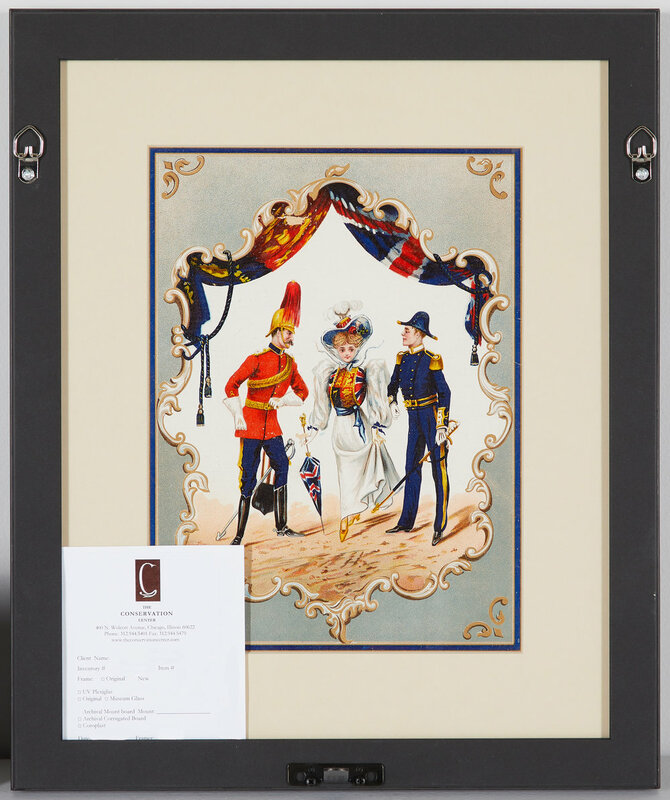 A wide traditional-style frame complements the importance of the pieces and completes the look." 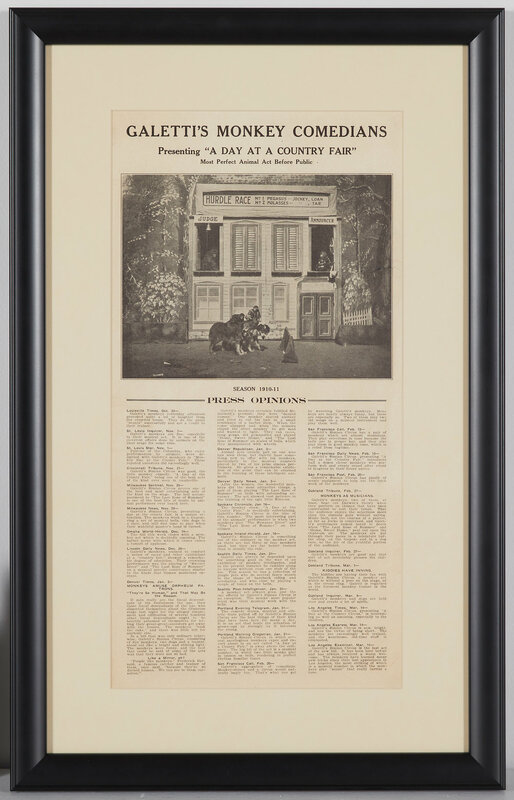 An excerpt of a newspaper article highlighting the circus's tour throughout the United States was also conserved and framed in the same manner. 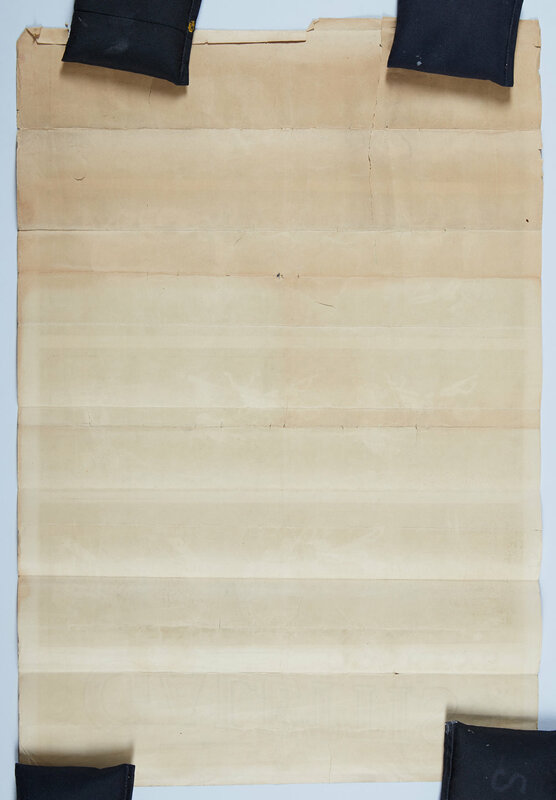 A program accompanied the posters and The Center's Paper Conservator treated this piece in a similar manner by surface cleaning and flattening the work. 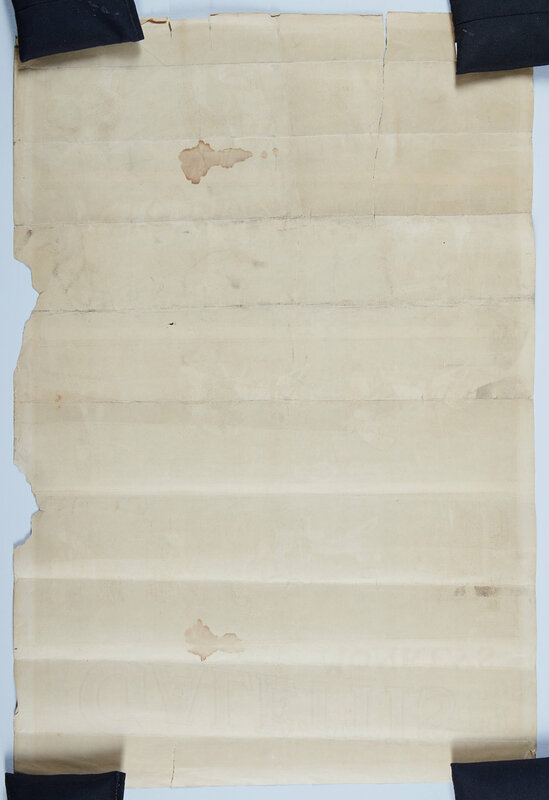 Tears in the program were repaired with Japanese tissue and conservation-grade adhesives. 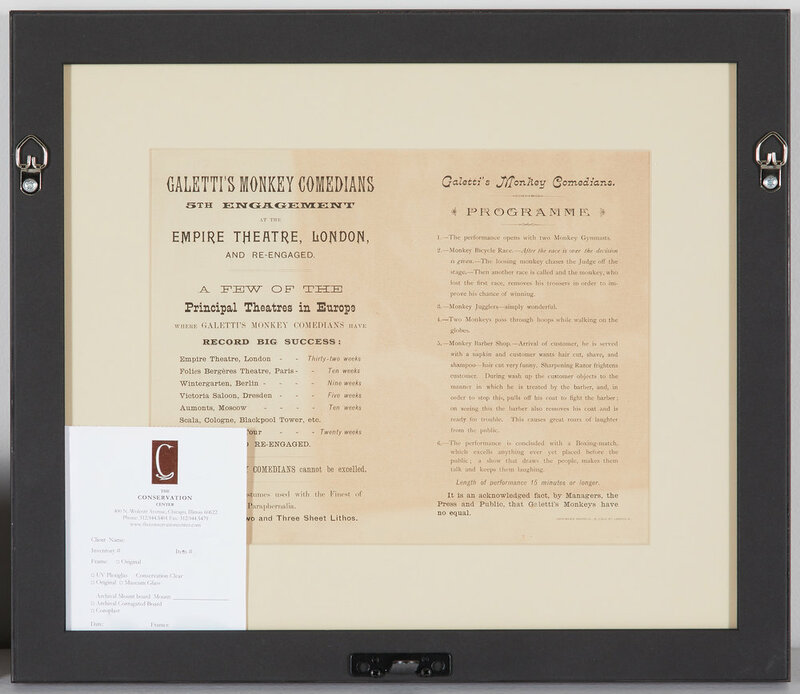 The piece was then assembled in a new recto/verso frame with archival housing materials. This framing method allowed for the program to be displayed open and readable on both sides of the frame. Finally, two other posters that accompanied the collection were treated. 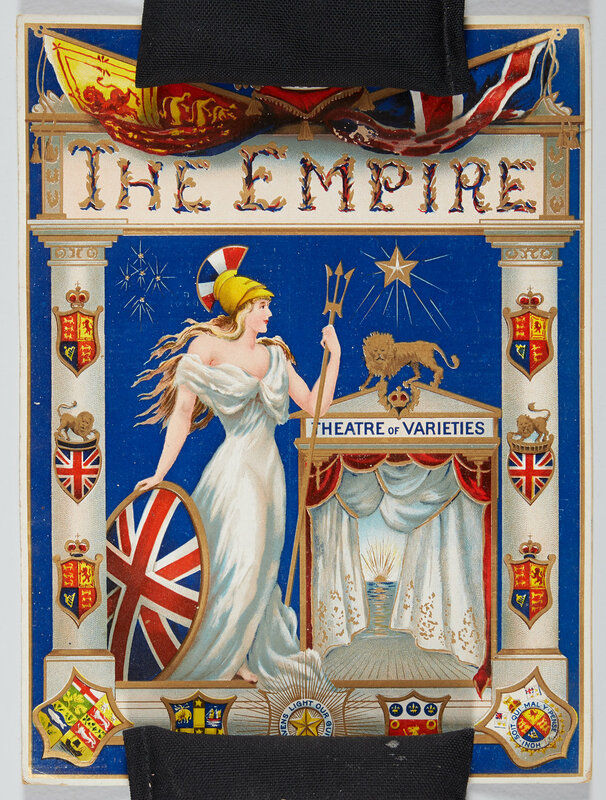 The first was titled “The Empire," after a theater where the circus may have performed. The piece featured images on both sides of the sheet. After being conserved in a similar manner to the other posters, it was placed in a recto/ verso frame, along with archival matting and protective glass. The other poster, titled of “Giacomo and His Birds,” was first water-bathed to reduce distortion. The conservator then removed the pressure sensitive tapes on the piece. After cleaning the surface and lining the piece for additional support, the poster was framed to conservation standards. It was our honor to restore these colorful works of family heritage and the client was ecstatic about the end result. She is still looking for the right prominent location to display the collection in her house, but is certain that if other circus related items come to her through her family, she’ll arrange a stop at The Center.